How can you not love such practical stuff? 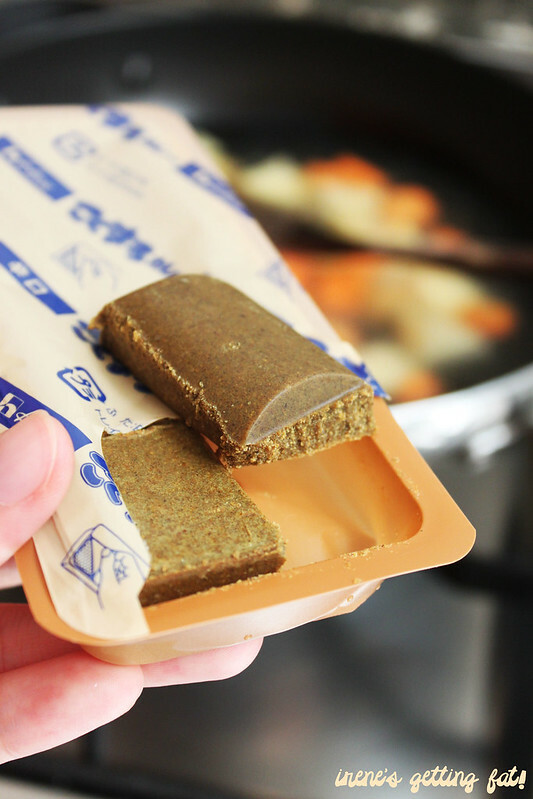 Kudos for the Japanese to invent something spectacular like these curry blocks. I owe you one, sir (or madam)! 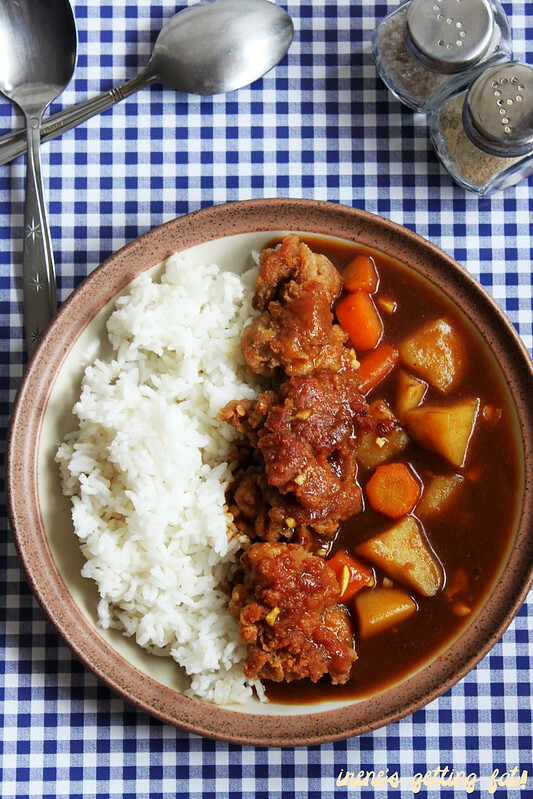 This Japanese instant curry block is truly a friend of me, one who can't be bothered to do complicated stuff yet constantly demand tasty and satisfying meal. This one, whose brand I don't know, is a gift from a cousin's Japanese GF. It had been sitting in the cabinet and I forgot about it, until Anak Jajan conveniently post a recipe featuring this magical stuff. I have never particularly looked for this product in Sydney or Jakarta, but I'm sure the Asian groceries in Sydney have them. And you can find it in big supermarkets in Jakarta. 1. 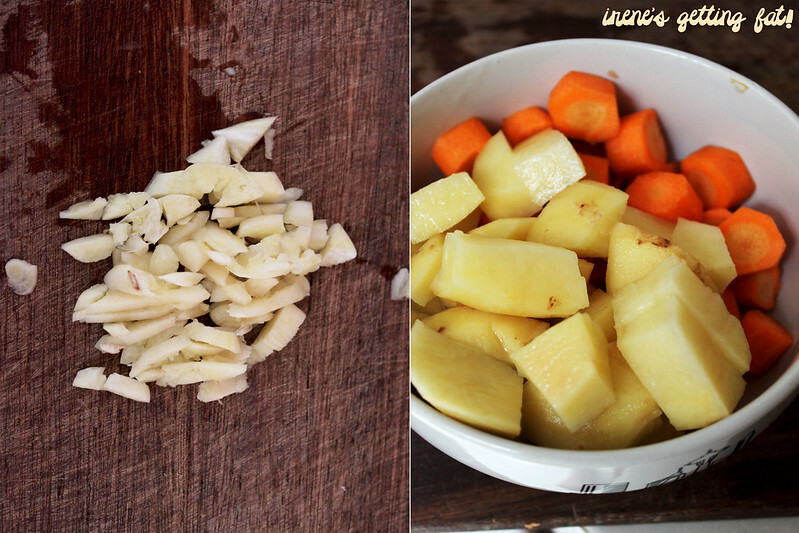 Stir fry the onion until fragrant, add the carrot and potatoes until a bit wilted. 2. Add water and the curry blocks. 4. 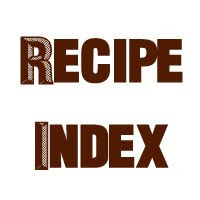 Keep tasting and add seasoning adjustment to your taste. It's too easy, really. Chop here and there, and put them all in the pan. I put two blocks (1 bar) of the curry block at first, but I kept tasting bland water instead. So I dove four blocks of it. And some salt and pepper. There's cooking recommendations on the back of the packet, but it's all in Japanese so I pretty much ignored it. It may look watery at first, but believe it or not, it will get thicker after some patience. Keep tasting it and make your own adjustment. I also kept poking the carrot and potatoes to make sure that they weren't overcooked. 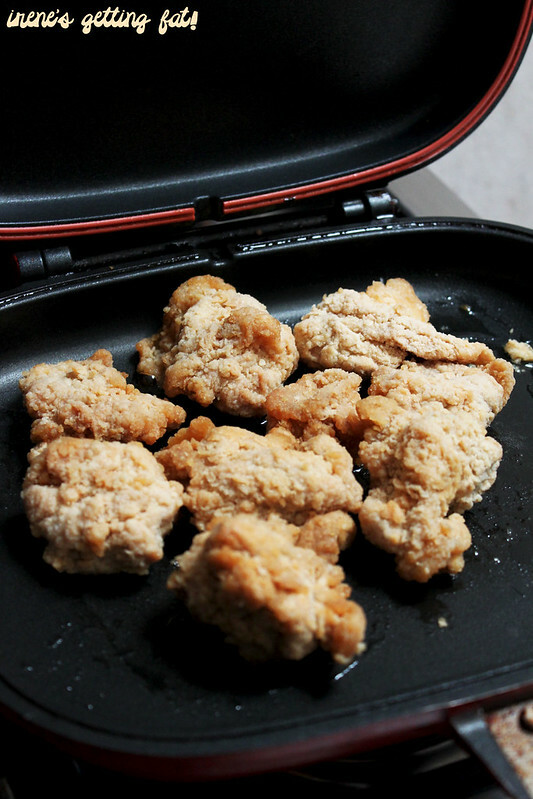 Instead of prawn tempura, I used my favourite frozen chicken product: chicken karaage. Of course, it can't be compared to the original one, but it is more than decent to me. And I have always love crunchy chicken skin. As you can see, deep-frying is prohibited in our household. The result was a stomach-and-soul-satisfying meal. I was thoroughly impressed with the favour of the curry, I didn't expect it to be that good, to be honest. 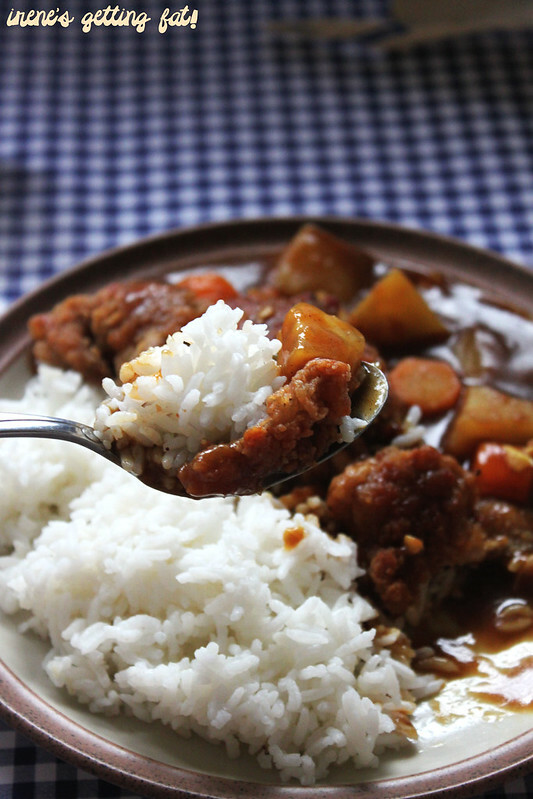 It really tasted like real Japanese curry; it's thick, rather mild in terms of flavour, but there was still this tingling feeling left on the tongue. I didn't even grab my usual chilli sauce for this one. It was perfect on its own. 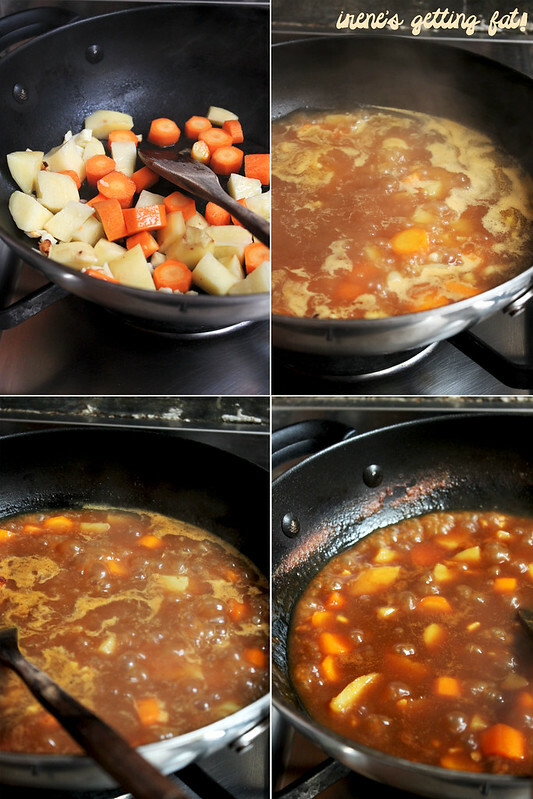 And you practically can't go wrong with potatoes and carrots in Japanese curry. My frozen karaage worked as a charm on the plate, but of course, feel free to substitute it to your favourite items. Deep-fried would be better, I think. There's still one pack of the curry block in my cabinet, I'm saving it for rainy days, when all I can manage to do for lunch is to put every ingredients on the pan and stir them. 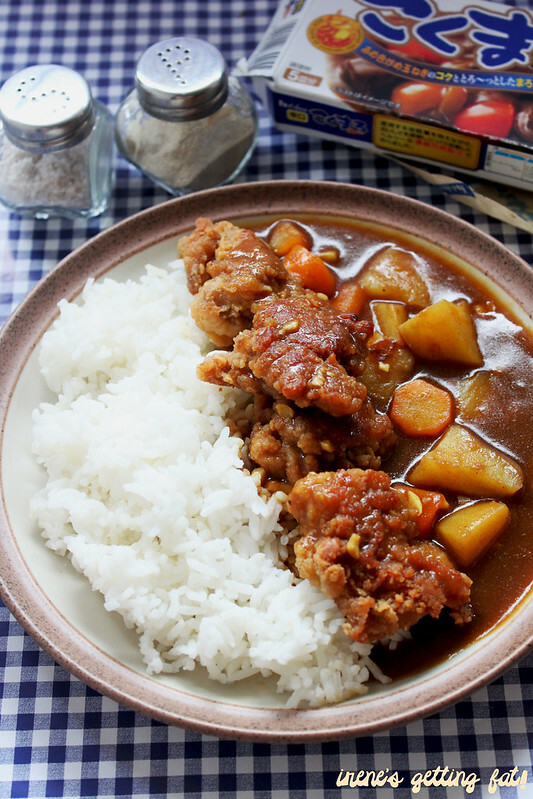 My recommendation is to make a big batch of the curry and save it for the next day's lunch. Just fried something up and then cover them with the delicious gravy. Great idea or what? P.S. Talking about the awesomeness of Japanese, check out this awesome post and video of the most appealing omurice by Ume, a fellow passionate foodie! ooh i didnt know u could get karage frozen! thanks for dropping by, milkteaxx! 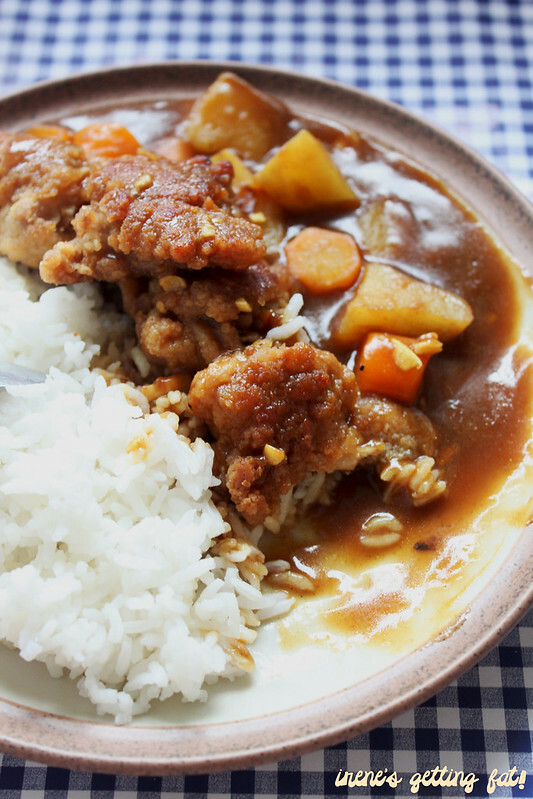 yummy yummy, I love Japanese curry! I enjoyed reading your post. I saw some at Korean groceries, I think they have heaps of the blocks! I don't know about the karaage though. LOL same here! only if I could get the frozen karaage..hehe. Thanks for dropping by, Tina! Thanks heaps, Gemma! 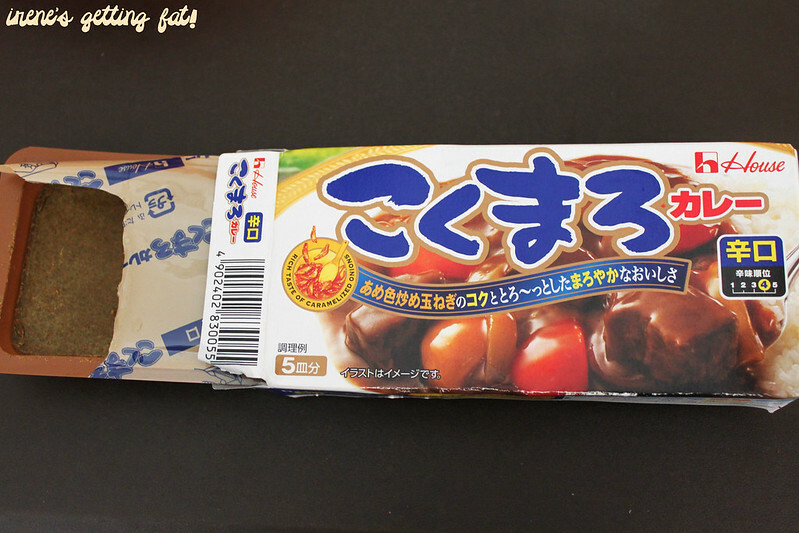 It's a popular pratical item in Indonesia, although I still haven't found it here in Syd.